Everybody needs some tender love every now and then. Everybody except you with your big bad motorcycle of course. 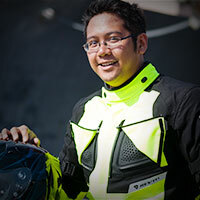 The Speed and Strength Tough Love Jacket shows that you are a badass motorcyclist. Eff the tender love. All you need is tough love. The Speed and Strength Tough Love Textile Jacket ticks off all the boxes for a 2-3 season woman's riding jacket with classic styling and in a new textile finish. Asymmetric styling gives the Tough Love jacket a funky leather look without the heavy price tag and heavy weight. AR-700 textile provides the abrasion resistance along with some water resistance. A removable thermal vest liner keeps your core toasty as weather turns cool. Zippered bicep and back vents flow air keeping your body cool while looking cool. The Tough Love jacket comes fully kitted out with Vault CE approved armor at the elbows, shoulders, and back. The Speed and Strength Tough Love Textile Jacket provides moderate to cool temperature functionality while providing classic motorcycle jacket styling. 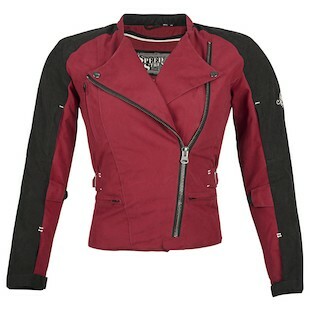 Female motorcyclists looking for a classically styled jacket with modern day colors and materials will find the Tough Love fulfills their needs. Just don't expect a hug.